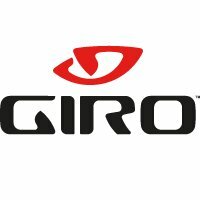 The Carbide is Giro's core mountain bike shoe, now upgraded with a more grippy rubber/composite sole. In other words, it's a pure riding shoe which (unlike a road shoe) still allows you to walk in terrain where you mix biking with hiking. High-quality, breathable synthetic fibre with mesh panels. The 3 velcro straps make for secure, fast-fitting micro-adjustability. The footbed's Aegis Microbe Shield inhibits odour-causing microbes, so your shoes stay fresh and odor-free. Co-moulded nylon and rubber high-traction lugged outsole with mid-foot scuff guard. The sole will accommodate steel toe spikes. Manufacturer's published weight: 310 grams per size 42 shoe.